There is a touch of elegance in everything related to this city. 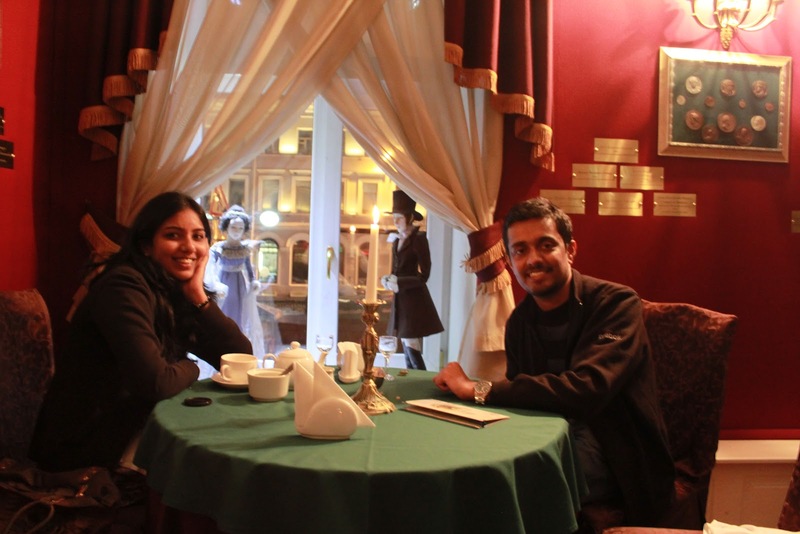 Be it the roadside restaurants, or be it the opulent palaces of Tsars, everything has an element of elegance. That elegance is not one enmeshed in a fashionista world like Milan or Paris. It is rather a unique sense of royal charm. There is a melancholy in the air reminding us of the Tsarist past. There is still that intellectual element that gave birth to new ideas in politics and science. And, I'm quite sure that those unique spirits will shape up this city going forward as well. 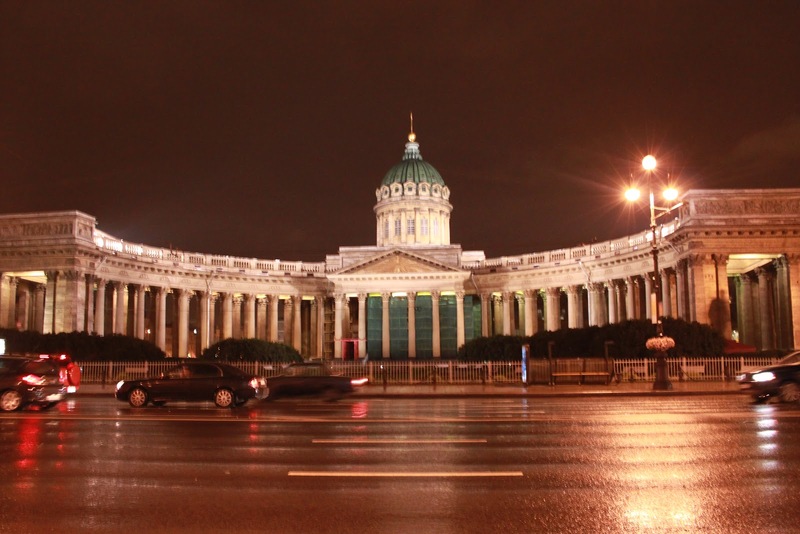 The intellectual & cultural capital of Russia - St Petersburg has a rather short history starting only in 1700's. At different times, it was named as Petrograd & Leningrad. 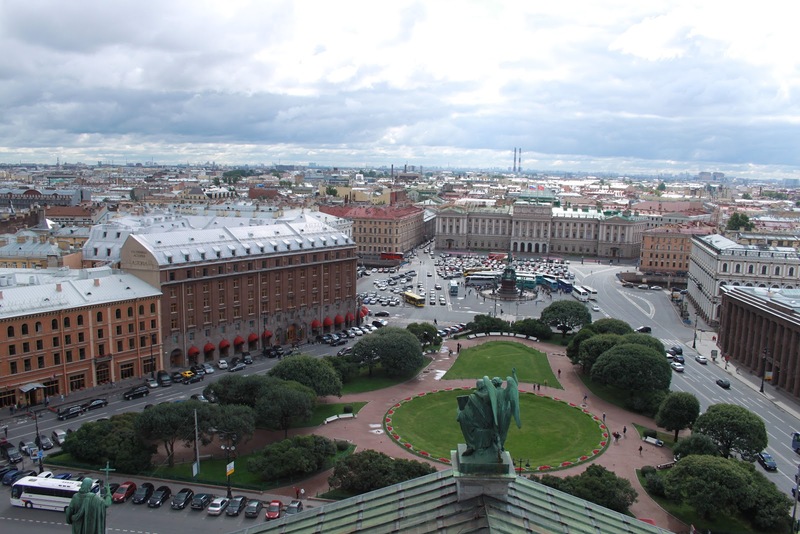 It was here that Bolsheviks overthrew the Tsars. It was here that Dmitri Mendeleev invented periodic table. This city has also witnessed one of the longest millitary sieges in modern world history during second world war. We reached from Moscow in a night train. Comfortable ride with pleasant sleep. We checked into this small , but very conveniently located hotel ( link ) next to Nevsky Prospect, the arterial road connecting most of the landmarks. 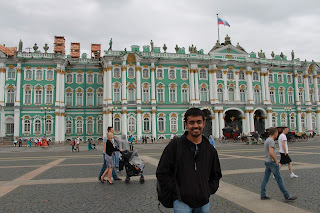 Day -1 : Hermitage - The largest art & cultural museum in the world. 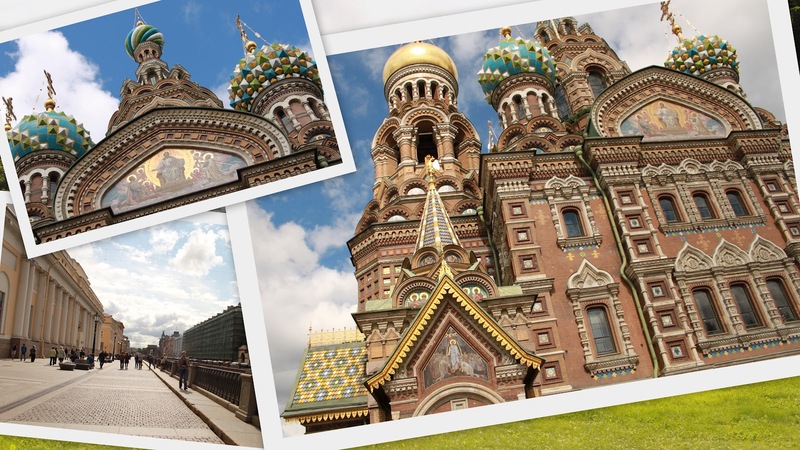 Tsar's winter palace is converted into a world class museum which will leave you spell bound. 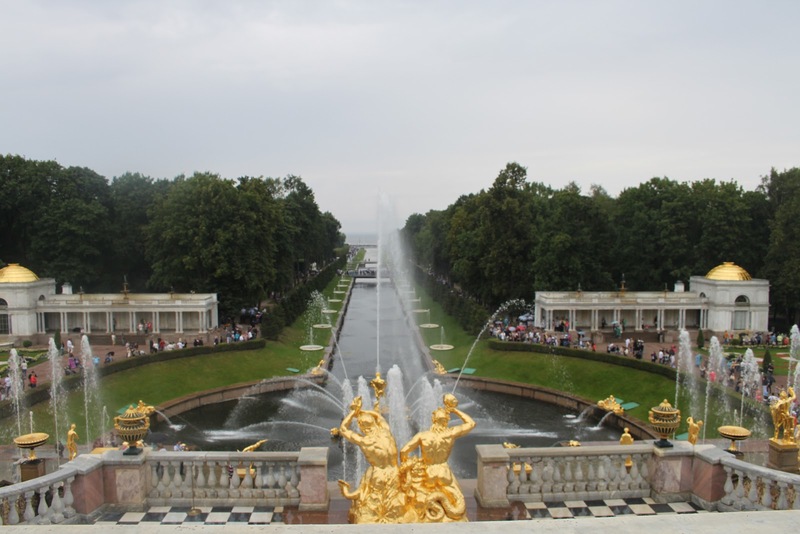 Thousands of artifacts and paintings , royal pictures and much more. You would get tired of walking over here. We spent about 4 to 5 hrs here and then proceeded to Peterhoff palace , about half an hour ferry ride through the Baltic Sea. The most spectacular palace that I've seen anywhere. Pictures speak of the beauty. All the fountains are natural streams . It was damaged during the second world war and restored later. 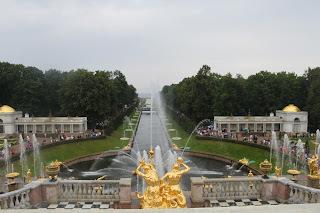 Hermitage and Peterhoff palace are just two among the many palaces built by Tsars. 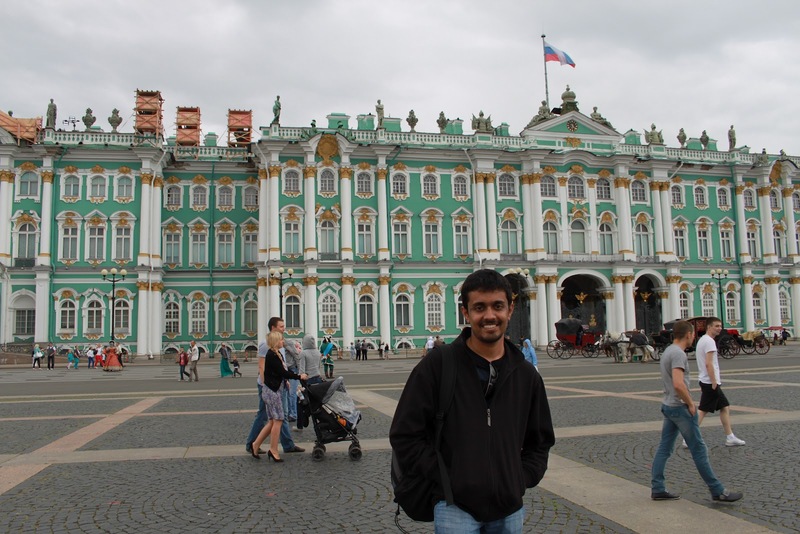 We missed Catherine's palace - which is supposed to be equally beautiful. 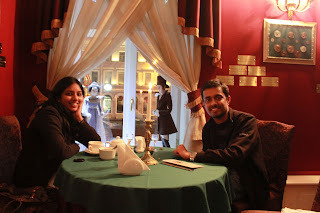 That night we had dinner at a classic restaurant themed on another Petersburg Luminary - Alexander Pushkin.. And then, took a stroll along Nevsky prospect till the Neva river which cuts across the city . 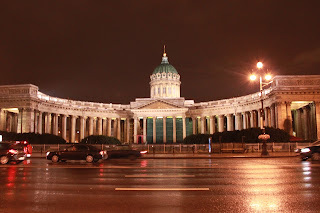 The glittering Hermitage at night along the Neva river is an awesome sight. Day 2 : Rasputin - the mad monk lived in this city. And was murdered in another palace over here. Did not have the time to see the palace. St Isaac's cathedral gives a panoramic view of the entire city. Covered two more cathedrals and a park as well.. One downside that I can put over here is that, entry to any of these monuments costs about 250 - 400 Roubles per head. Beyond a point, you would tend to avoid paying that and getting into these cathedrals. At many places, you would see that intellectual charm and sense of style. It has an element of mystic calmness reminding us silently of the past . 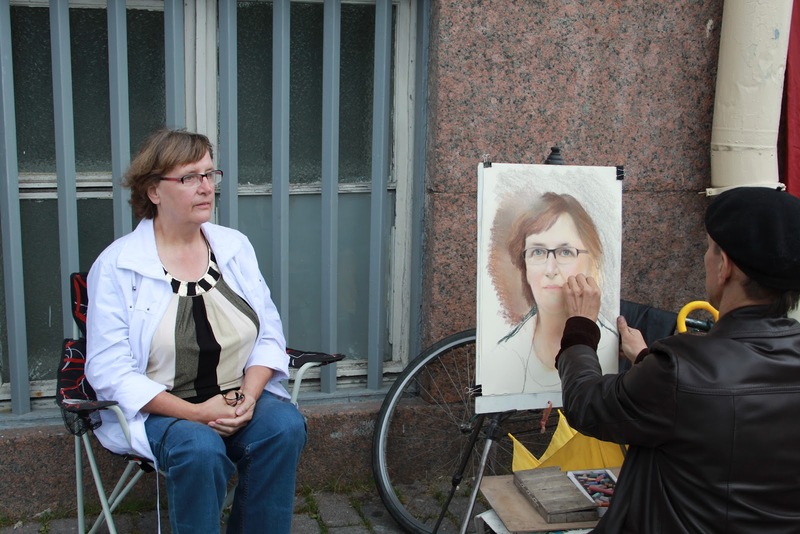 If Moscow left a feeling of incompleteness, St Petersburg really overwhelmed me with its aura. We flew out in the evening flight back to Dubai in EK 176 .. And this city calls me back again for a trip.Not to see more monuments..but to relish the beauty of the city , Neva river and to breathe the fresh baltic sea air.